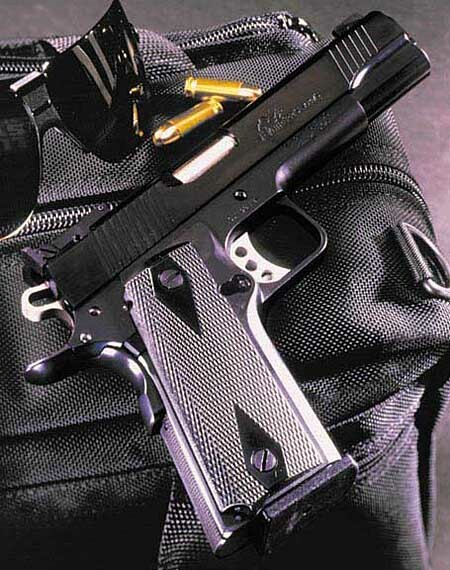 The gun pictured below is a Enterprise 1911. Entreprise Arms once made the Enterprise 1911, but the company only makes parts now, mostly for the FN-FAL rifle. Not much is known about the pictured gun beyond the fact that it is based on the 1911 design and has various features not found on the original.